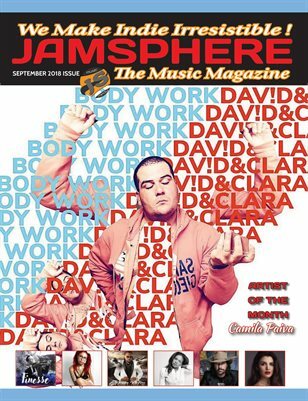 The September 2018 issue of our monthly Indie Music Magazine - FEATURED THIS MONTH - DAV!D&CLARA, Asher Laub, Vessel Decimal, Love Ghost, J-Hamz ft. Jesse Peters, Harmless Habit, Musicbyko, Josh Karch, C-Neil, Rick Monroe, Better Royals, Natalie Jean, Tamara Radjenovic, Camila Paiva - Jamsphere covers all news, reviews, interviews and events of the world's top independent music artists from all genres. Every month we choose the cream of the crop for our magazine, ready for digital download or to be delivered as a physical printed copy right to your door. Copies are also distributed to industry professionals and music's top tastemakers, as we continue our quest to make indie irresistible!